Joan M. Marquis, 85, of 242 Main St., Salem, NH., passed away March 21, 2019, with her family by her side. She was born to the late Gaetano and Mary (Motta) DePari, September 29, 1933, in Lawrence, MA. Joan graduated from Lawrence High School in 1951 and received an associate degree from Andover School of Business in 1974. She married the late Joseph E. Marquis in 1952. They raised their family in Lawrence, MA. and later lived in Londonderry, NH. for several years. Joan is survived by her sister, Priscilla Shaheen of Methuen, MA., and three children: Charlotte (Marquis) Frizzell, wife of Laurence Frizzell of Cape Coral, Florida; Ernest Marquis, husband of Barbara (Bishop) Marquis of Methuen, MA. ; and Kevin Marquis, husband of Linda (Scaccia) Marquis of Staatsburg, NY. She is also survived by six grandchildren, eleven great grandchildren and several nieces and nephews. Joan was predeceased by her husband in 1993. Joan loved her family and was immensely proud of them as evidenced by the many family pictures that she surrounded herself with. She delighted in telling her visitors about each of her grandchildren and great-grandchildren. She often proudly stated, "Look at what your father and I started." Joan was an accomplished artisan. She leaves behind a legacy of beautiful knitted and crocheted creations. 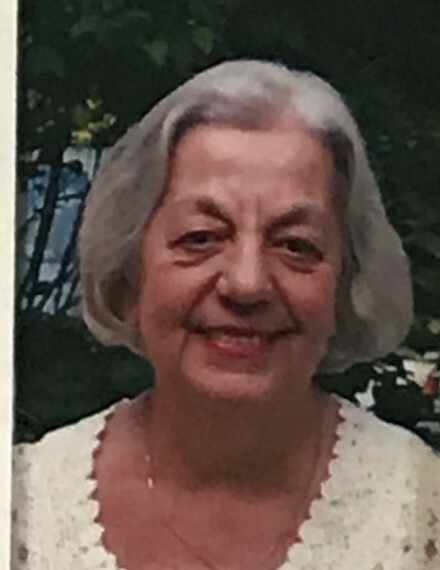 A funeral service will be held on Wednesday, March 27, 2019 at 1:00 P.M. at the Goundrey & Dewhirst Funeral Home, 42 Main St., Salem, NH. Burial will take place at a later date in Pleasant View Cemetery in Londonderry, NH. In Lieu of flowers, donations may be made to St. Jude's Children's Hospital, 501 St. Jude's Place, Memphis, TN., 38105.